Alameda Wine Company opened in 2008. 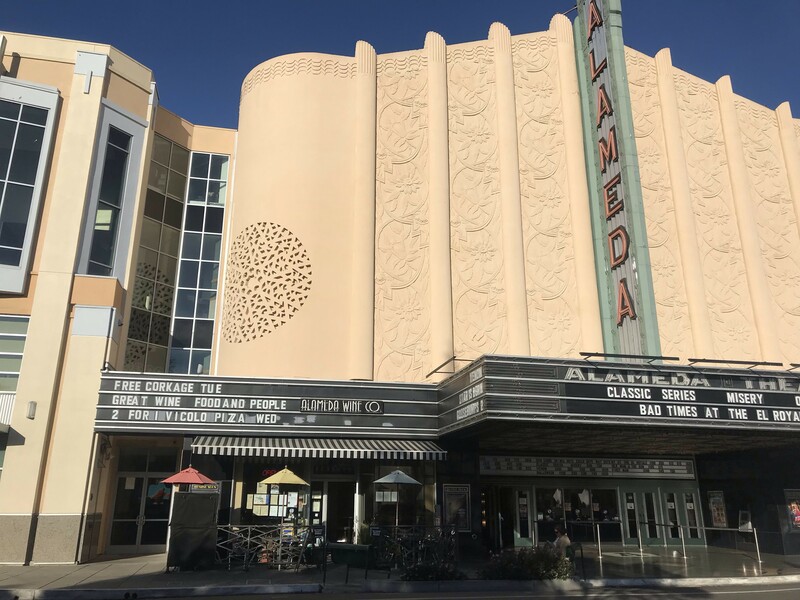 The city of Alameda terminated the lease of a small wine bar and bottle shop located between the Alameda Theater & Cineplex and the Cinema Grill in downtown. The city owns the property, and Alameda officials say Alameda Wine Company repeatedly fell behind on its rent payments. Wine bar owner Karen Ulrich told the Express that she’s been ordered to vacate the space at 2315 Central Ave. by Nov. 30 but plans to close on Nov. 6. Ulrich, who built out the shop at her own expense, calls it an “orphan space”; it only has 525 usable square feet. She said she had a 15-year lease with the city that began in 2008, and in 2016, she started receiving pay-or-quit notices due to late rent payments. Ulrich asserted that she was only three months behind on rent. She said when she attempted to pay the late rent with a credit card, the city refused to accept payment. Ulrich said business began to decline in 2016 when she lost $40,000 in gross sales, and attributed that in part to Cinema Grill. Cinema Grill opened in 2014 and is owned by Kyle Conner, who also owns the Alameda Cineplex, the collection of smaller, newly constructed screens (he does not own the city’s historic theater). Cinema Grill is allowed to sell its wine and beer in the historic theater and attached cineplex, but Alameda Wine Company is not. Conner declined a request for comment. But not everyone saw Alameda Wine Company in the same light. “We had many complaints about aggressive, abusive behavior,” Mocanu said. Mocanu said the city had also received complaints about racial discrimination. Reviews alleging inappropriate behavior and racial discrimination also appeared on Yelp. Mocanu said these complaints didn’t play a factor in the city’s decision. “The lease is terminated solely on the rent issue,” she said. …In other food news, Spenger’s Fish Grotto in Berkeley closed without warning on Oct. 24. The restaurant opened as a clam shack in 1890. And hybrid market, bakery, and cafe Chow Oakland announced via Instagram that its last day in business would be Oct. 29. The Oakland branch of Chow, which also has locations in San Francisco and Lafayette, opened in February. And Filipino restaurant FOB Kitchen (5178 Telegraph Ave., Oakland) has set its opening date for Friday, Nov. 16.